"...Through the unique combination of physio-chemical, ROBBY WASH turns out to be the alternative to your purchase of laundry detergent! Activated, its macromolecules are released as and when washing and will emulsify the stains in your clothes by generating ions which activate the water molecules. This increase in pH will allow activated molecules to penetrate more easily inside your machine and to recombine with the task of washing. With movements generated by your washing machine, the tasks can be easily separated; fibers and linen are eliminated in the water. This unique and exclusive (worldwide patent) is a revolution to clean your clothes: indeed, no need for detergents or washing powder, simply dip the ROBBY WASH heart of the machine for optimal results..."
I’ve recently had the pleasure of reviewing the Robby Wash for myself! Please read on . . . 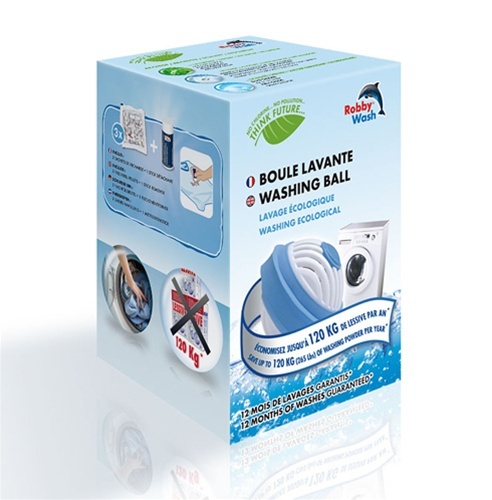 The Robby Wash comes in a small box, and it is quite convenient to store! Inside the box, there was the Robby Wash Ball, 3 refill packets, a stick-stain remover, and Instructions for use. How much easier can laundry get!? This is THE BEST IDEA ever! You literally load your washer and put the Robby Wash in! I purposely picked out a pillow case with a little stain on it to utilize the stain-stick remover. Here, you can see that I just put a little bit on the pillow case. Here is the laundry ready to go! I added the Robby Wash! Finished product- clean laundry. It smells great, too! If you want to refill it, just pop off the little top and pour it in! - You can use fabric softener with it, but there is no need as the Robby Wash softens it! - LASTS for 120 CONSECUTIVE WASHES!!! - Convenience is key- easy to store! - Economical- only costs around $32! - You can use bleach for whites, you don't need a lot of it! Please check out ORANSI now, where you can purchase one for yourself! I NEED to say this: The Robby Wash is PERFECT for use onboard the ship! Everbody knows that when you go underway, lugging that laundry detergent gets annoying, as well as storing it in your rack! Not anymore. The Robby Wash is super small, and lasts well throughout an entire deployment. I highly suggest the Robby Wash! Please visit Robby Wash on. . .
Now. . . on to the GIVEAWAY! 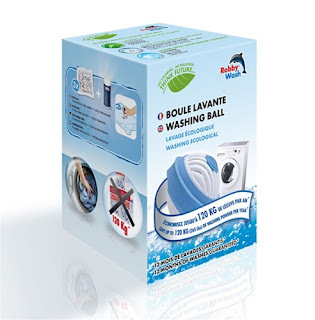 1 of my lucky readers will win a Robby Wash Laundry Ball for FREE! RULES: To enter this giveaway, you must complete the mandatory entry first, and then you may complete any and/or all-extra entries! 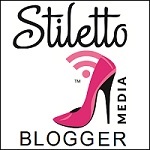 Please make your email address visible either in your comment or in your blogger profile! Open to all US residents, no P.O. Boxes, please! 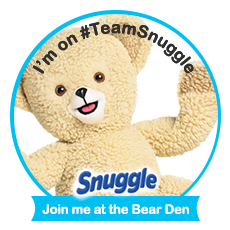 MANDATORY ENTRY: Tell me: What is your current brand of Laundry Detergent? 1. Tell me who this would be for, if you won! 3. Follow me on Twitter. 4. Like me on Facebook. 5. Follow me on Networked Blogs. 6. Follow me via GFC. 7. Visit Robby Wash, and let me know of another product that you would like to use! DISCLAIMER: I was not compensated for this post, I received a free sample and wrote my review based off of the sample. The opinions stated above are mine, and mine alone! This would SO be for me. I think I will give it to my Ex son in law who is in the navy. Maybe it will make life easier for him while he is deployed. My current laundry detergent brand is Tide. If I won, this would be for me! I'd love to try it out when doing the family's laundry. I would love to try the Robby Freshball for fridge. My current laundry brand is Tide. If I won, I would bring it with me to mom's house when I do laundry! Then we all could use it. I would also like to try the Robby Freshball. this would be for me if I win. I have seen this product on other sites but haven't tried it. My current brand of laundry detergent is the Costco/Kirkland brand. This would be for me , if I should win. Would also like to try the STAIN REMOVING AND WHITENING SALT. I currently use all detergent. If I won it would be for myself since I do the laundry. this would be for my dad. he is on a fixed income and is pathetic when it comes to laundry. such a man. lol. i would also love the ionic fridge air purifier! My current laundry detergent is Purex. Thank you for the lovely giveaway. If I was the lucky winner I would keep it for myself. It looks so perfect for us! I would love to use the Robby Freshball. Thank you! If I won this would be for me!